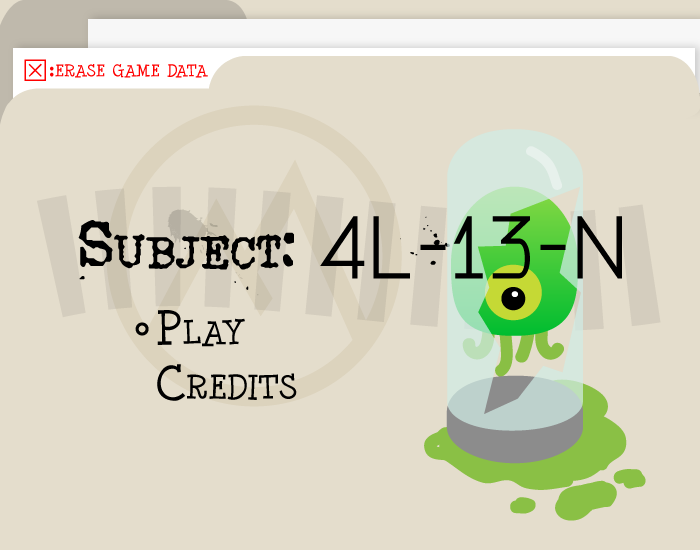 Alien Lab Escape - Game Art Assets - 216+ Art Files! Art Pack: Alien Laboratory Escape! 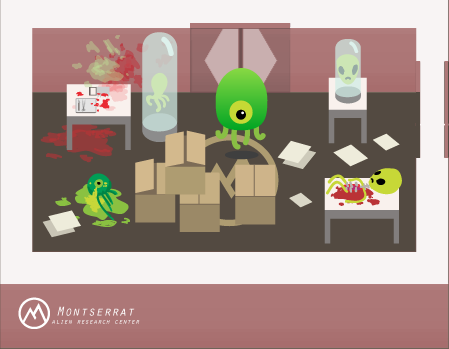 Description: A top down game art pack featuring an alien player character escaping from an alien testing laboratory. 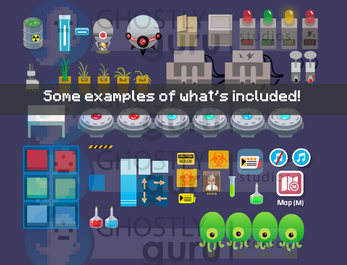 You could make a full game out of the art assets provided in this art pack as you see fit! In fact that's what was supposed to happen, but its now been 2+ years & it's been long enough now where I feel comfortable that the effort I put into these assets might be of use to others & maybe make me some money at the same time & you too! ;). Why not just turn this into a game yourself you ask? 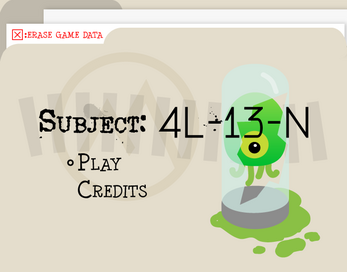 It's definitely unfortunate, but I do not have the programming ability to turn it into a game on my own. Originally this game was going to be a sort of stealthy escape the lab avoid/kill enemies starring an Alien main character, but it would be very easy to adapt the art included into a different style gameplay all together. In fact i'd really rather prefer if you did something different with it.. but hey...do what thou wilt. - Animated mouth for spitting out acid! 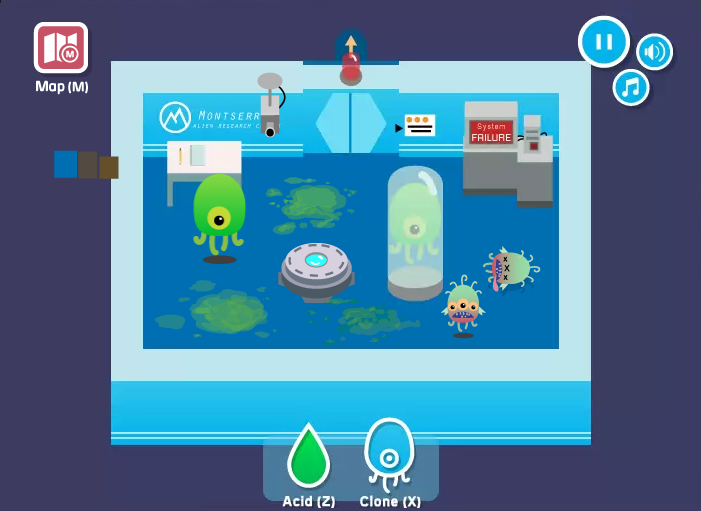 - Acid Attack animation - green goo projectile anyone?! Art Assets for the Game's Main Menu/In-Game Menu & etc..
- A SFX button and a Music on/off button! - Spacebar graphic showing the player how to attack. 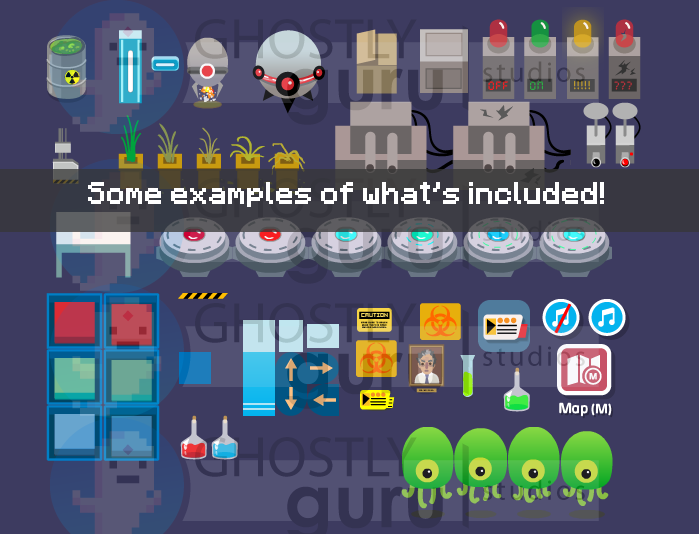 A few in-game items: - Such as keycards & powerups that look like pretty typical game potions. Art for a HUD: based on the current Alien Player Character's Attack/Ability. Visual Fx: - Such as blood, player attack/ability, teleporter fx.. etc..
- 2 animated enemy types including a levitating robot and a spider-like robot. - 3 static enemy types.. 2 turrets & another neat levitating robot. - A Boss Enemy that's dang big & has a super gory death animation! - Another alien & a camera could also be enemies. Dead aliens, tables, surgical tools, test tubes, blood puddles, barrels, crates, doors & whole lot of other level filling objects!